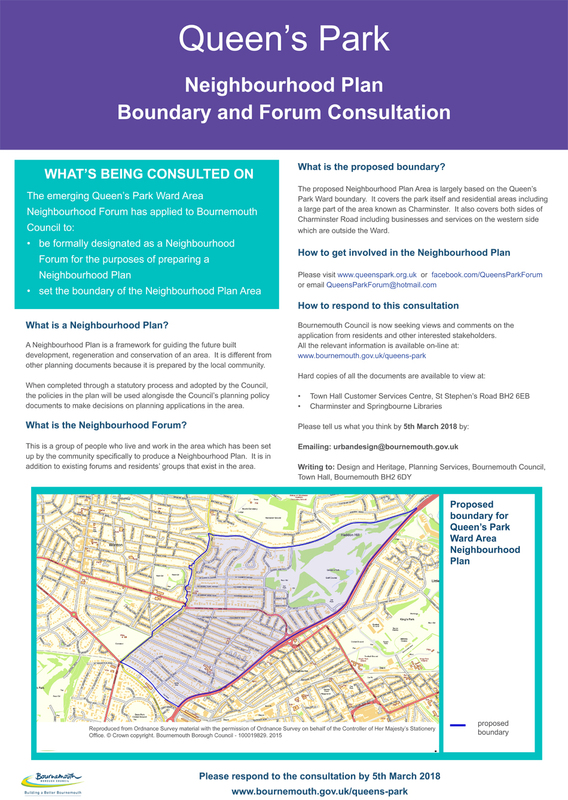 A group of committed and enthusiastic local residents and people who work in the area have set up the Queen’s Park Ward Area Neighbourhood Forum and applied to Bournemouth Council to be formally designated as a Neighbourhood Forum for the purposes of preparing a Neighbourhood Plan. As local estate agents, we are very involved with the local area and are pleased to be involved in discussions about this. Margaret attended one of the meetings held at the Woodpecker Café.